After being tested in closed beta by over 300 select organizations last year, Facebook announced last December that the enterprise version of its social network, Facebook at Work, would be rolling out over the following months. And while it may be a bit later than planned, the Slack competitor will finally launch publicly next month, according to The Information. 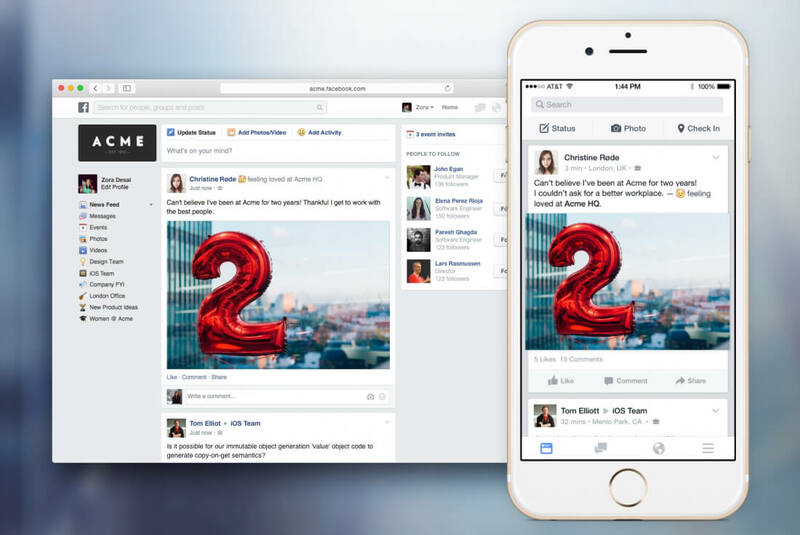 Aimed at businesses and their employees, Facebook at Work looks very similar to its non-enterprise version. It features a scrolling newsfeed, posts that can be 'liked', timelines, groups, events, the ability to follow and interact with co-worders, and a built-in chat service. Facebook said that the service would remain free - as it has been during the testing phase - with a charge of “a few dollars per month per user” for premium features such as analytics and customer support. However, the firm has now decided to charge a set monthly fee for all active users. The company didn’t specify how much it would ask, though it’s believed to be between $1 - $5. For reference, Slack charges $6.67 per active user. Facebook at Work director Julien Codorniou said it changed the payment model as Facebook believes it can keep individual employees engaged with the product. Anyone worried about their personal and business Facebook profiles overlapping needn’t worry. The two accounts are kept separate; anything shared on a work account will only be seen by people in the company, and anything displayed on a personal account will only be visible to friends (based on privacy settings). If it proves popular, many office workers may find themselves spending even more of their waking hours on the social network.